A great deal on our newest items! 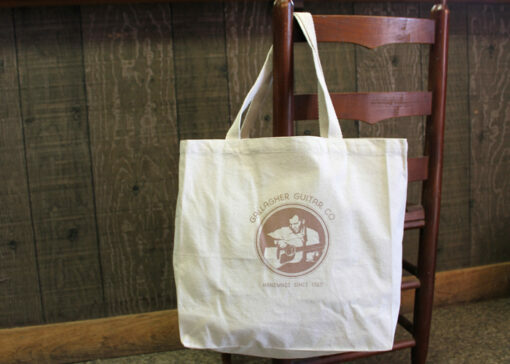 Natural canvas tote with sturdy cotton handles. Print features Doc Watson playing his first Gallagher (“Ol’ Hoss”, a 1968 G-50) surrounded by the G-50 rosette. 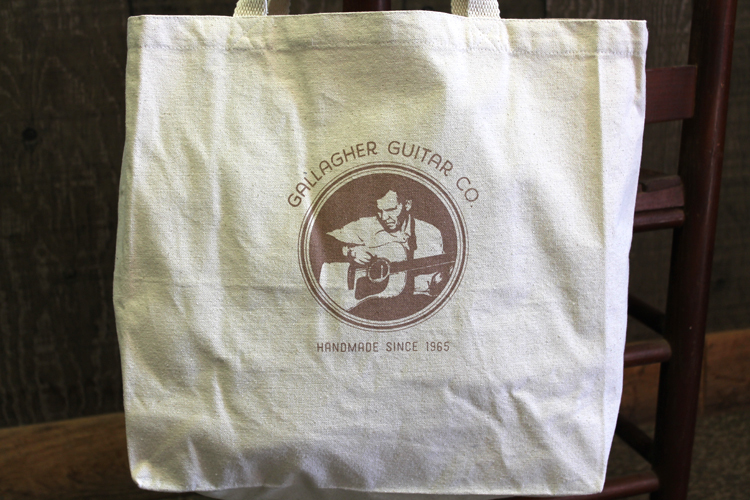 Measures 14.75″ x 14.75″ x 5″. 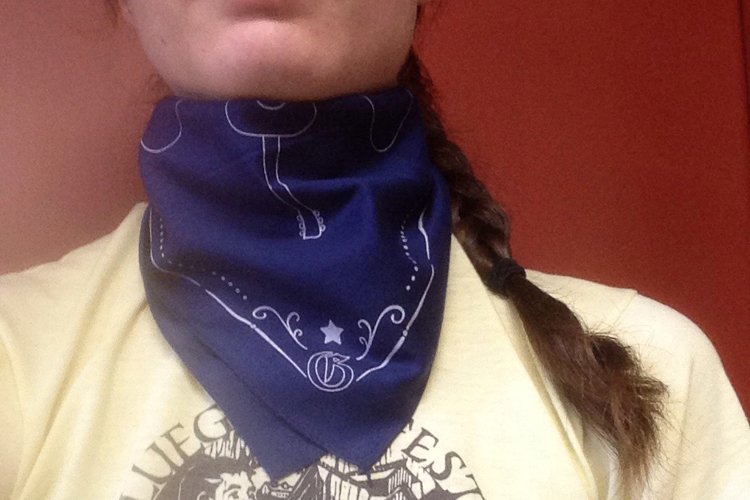 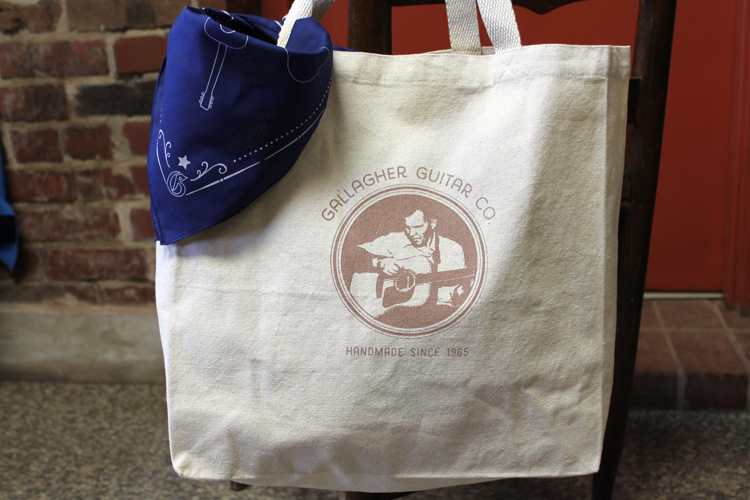 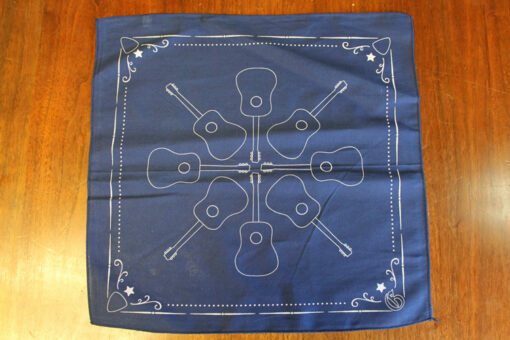 100% cotton hankie featuring a snowflake of guitars, a few picks, and one Gallagher “G”. 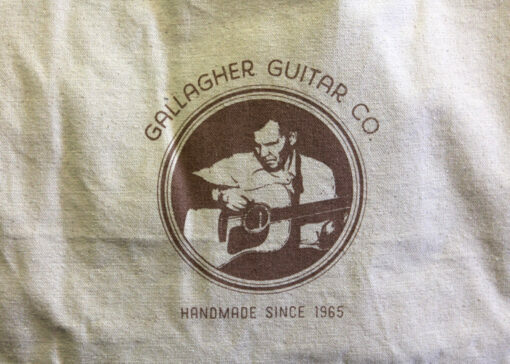 Perfect for cleaning your guitar or mopping your brow! 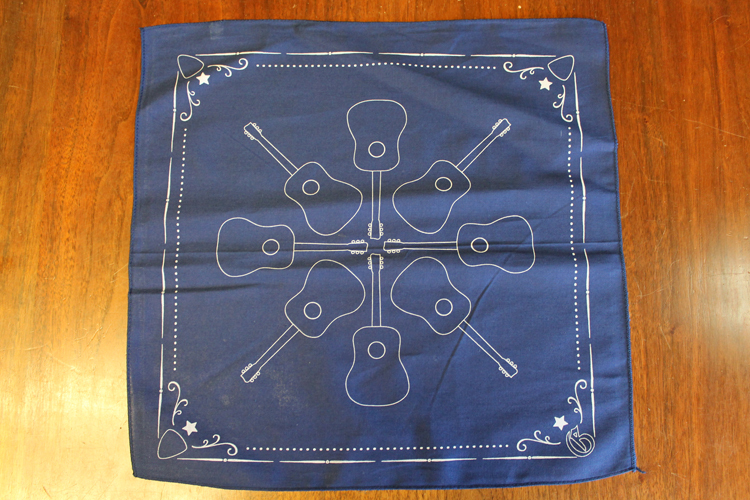 Measures 14″ square. Locally printed with environmentally-friendly ink and processes.